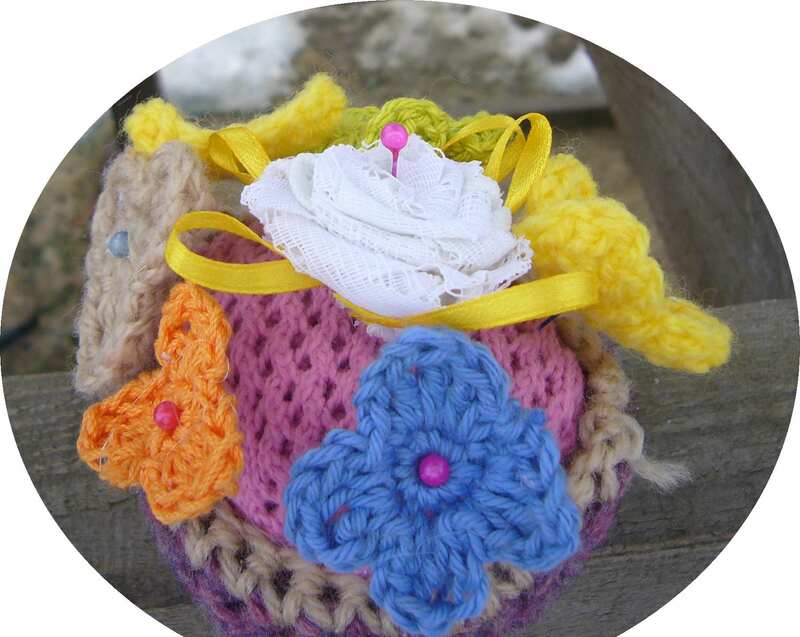 This crocheted flower basket is a great spring gift idea. This is a small about 2 inch crocheted basket. It is stuffed with a piece of old crocheted sweater and it is made out of recycled yarn. So, it’s a great go green spring gift idea. The flowers are small and crocheted. They are pinned on color head pins. The center piece is white and made out of recycled lace. It is a fabric rolled flower adorn with yellow ribbon. I used hot glue gun to put the whole crocheted basket and flowers together. 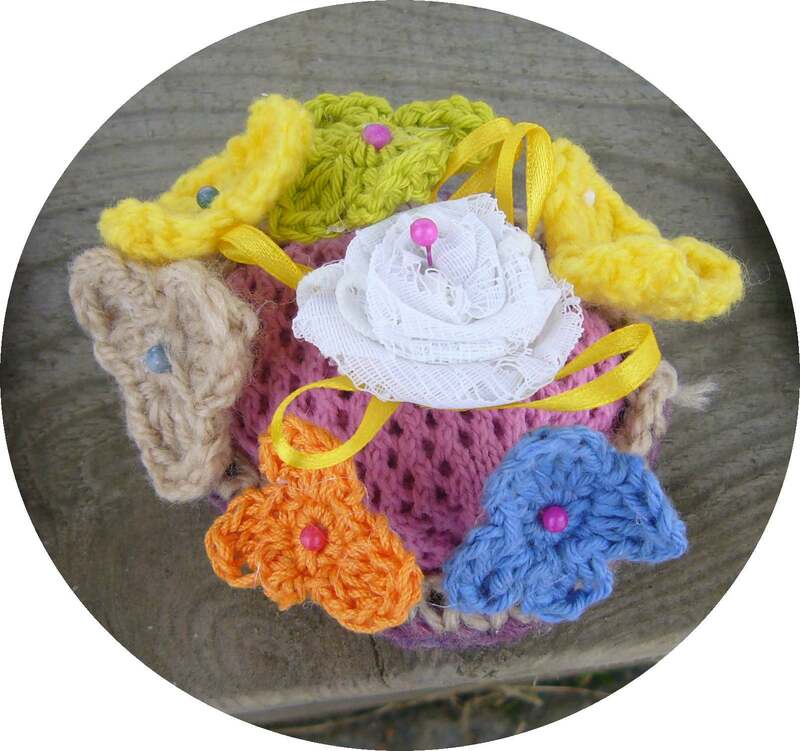 In total the basket has 7 crocheted flowers of different colors. This tiny spring flower basket makes a great go green and handmade gift for Easter or any other occasion. You may find it on my Etsy store recycledcrafting. 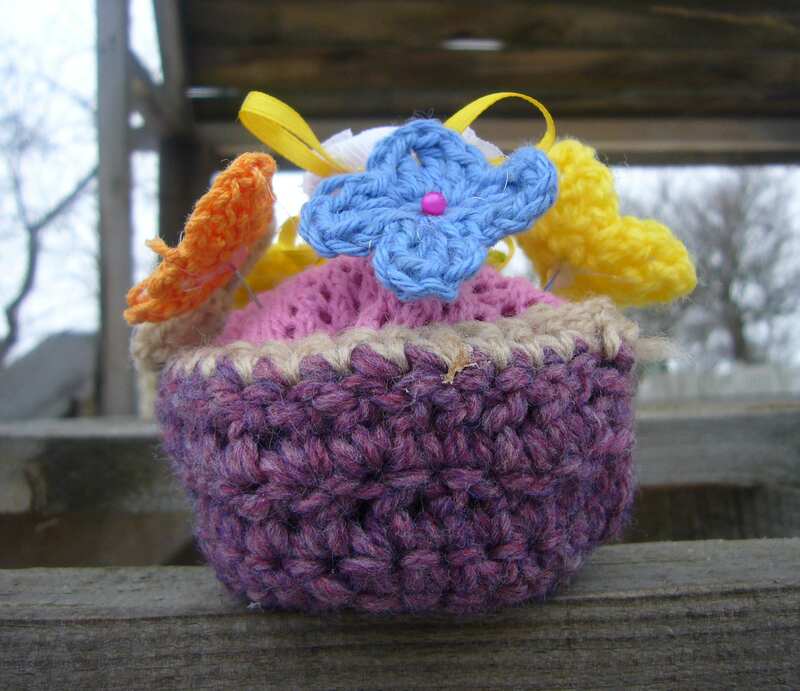 This entry was posted in Crocheting, Go green and tagged crafts, crochet flower, crochet gifts, crocheting, DIY, Easter crocheted flower basket, easter gift ideas, flower basket, gift flower basket, handmade, recycled crafts, recycled yarn, upcycling. Bookmark the permalink.